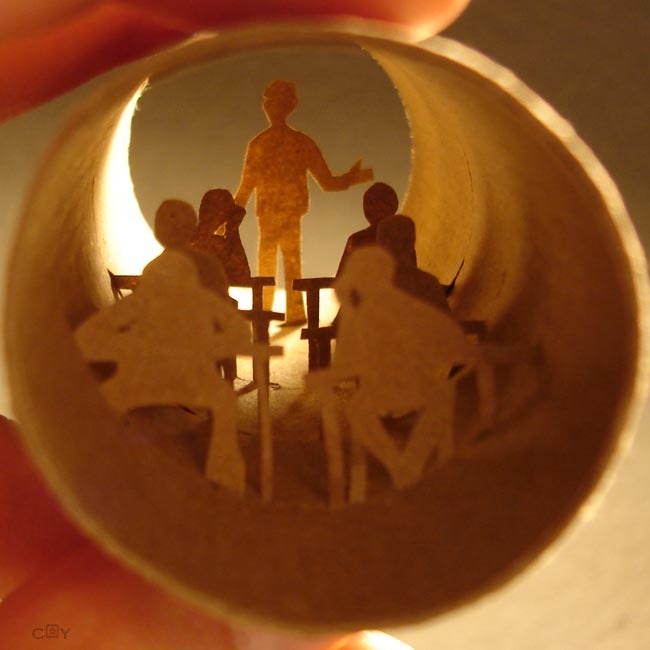 so what can you do with the toilet paper tubes? 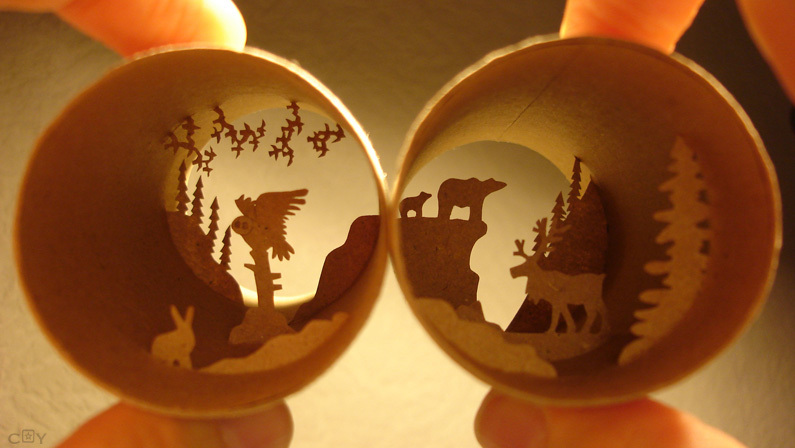 from France, she has created this little amazing scenes using toilet paper tubes. not only does it take a steady hand to cut every piece, but to put it all together and make the composition work is even harder. 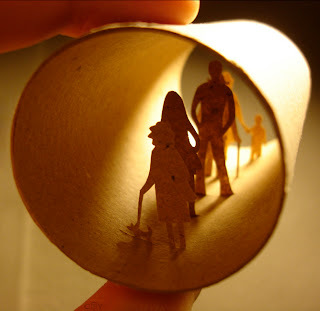 At the same time i'm amazed by the way the scenes react to light, they are great examples of how perspective works and how thing are darker as they are father away. she has an exhibition this year in Hong Kong with her "rouleaux"
Glad you liked it, do go to her webpage, she has many more.